As a member of M-Industry and one of the largest milk processors in Switzerland, ELSA sets an example for the country’s dairy sector. Together with its producers, the company is focusing on modern and future-oriented milk production. The result? All Migros milk produced exclusively in a sustainable manner. 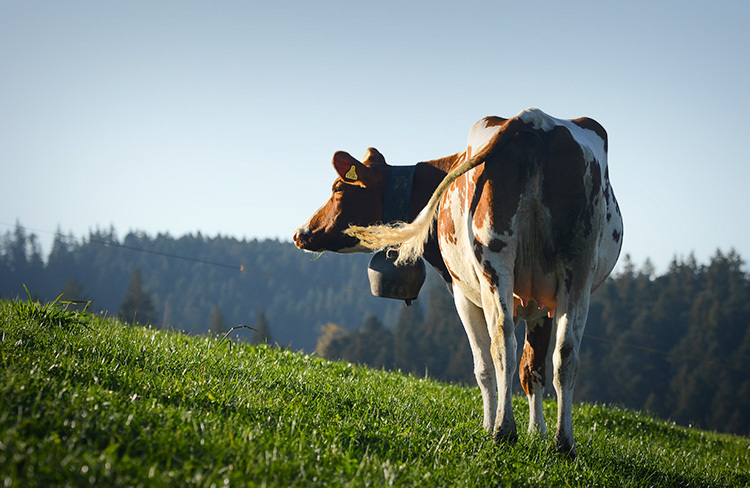 Over the past two years, ELSA has developed a new concept for Swiss dairy production in collaboration with milk producers, as well as scientific institutions and animal welfare, environmental, and consumer protection organizations. By spring 2018, all direct ELSA suppliers, along with select third-party suppliers, will apply this new concept. Thereby, ELSA is taking the necessary measures to enable us to continue consuming milk, which is respectful of the environment, the dairy cattle, and the society. With this new concept, producers are making a commitment to the three pillars of sustainable development – society, the environment, and the economy. The system includes basic requirements that all producers must adhere to, along with optional modules, with which additional points can be collected. Amongst others, it promotes local, ruminant appropriate feeding, as well as animal health and welfare. It also enhances biodiversity and reaffirms the long-term partnership between milk producers and the milk processor. “We focus on partnership and the individual responsibility of each player in the value chain – no other strategy would be sustainable.” says Lukas Barth. The system paves the way for a long-term successful Swiss dairy sector.